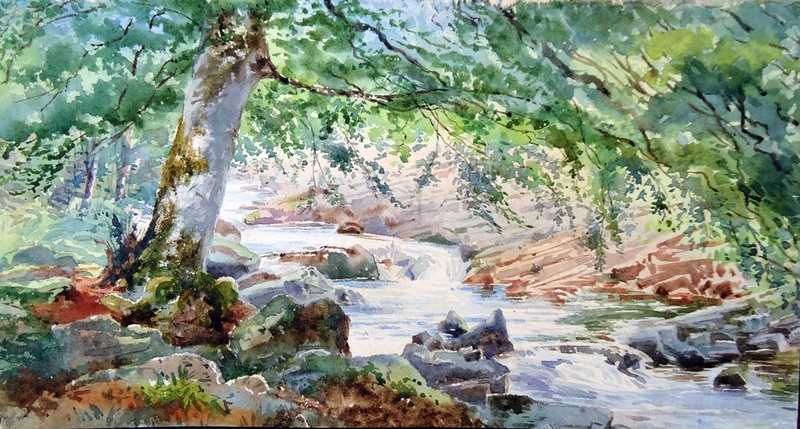 This watercolor was painted in 1898 on the Walkham river , Devon England by Mary Josephine Hardcastle Collier (1849-1930) who was also known as Lady Monkswell or Baroness Monkswell. This fully developed good size watercolour painting. It measures about 40cm x 21.5 cm or 15 5/8 inch by 8 1/2 inch. After light archival cleaning it is very fresh looking for its 116 years of age. 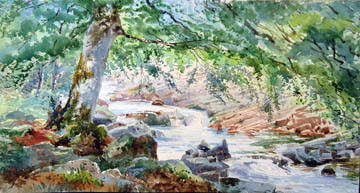 Depicting a waterfall on the Walkham river-her uncle owned a home and she often painted near there. this fully developed watercolor is finely & delicately painted showing the masterful skill she is known for. Lady Monkswell studied at the Slade School of Art She was a known accomplished painter. 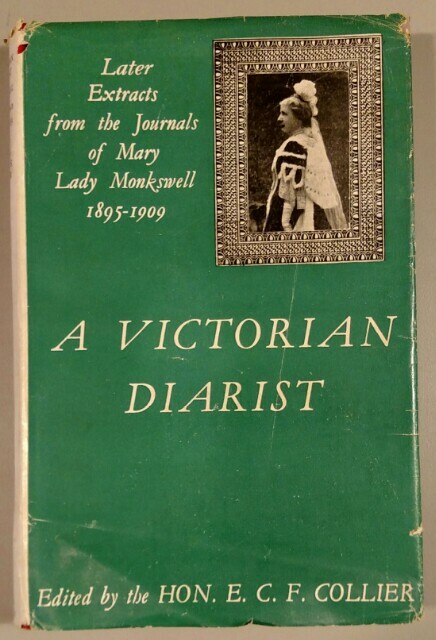 Lady Monkswell is also probably the most well known Victorian diarist due to her son, The Hon. E.C.F. Collier, who published excerpts of her diary in a book called A Victorian Diarist. 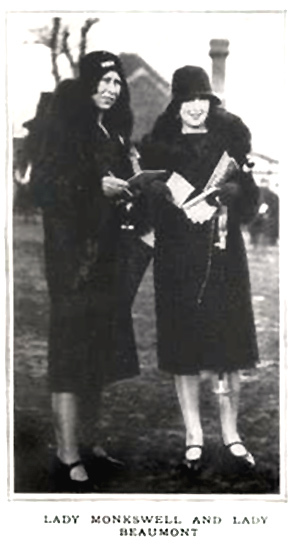 Her diary contains her observations populated with luminary acquaintances of the time including authors, statesmen and peers. Some of the guests in their house in Chelsea were Disraeli, the young Churchill, Huxley, Millais, Oliver Wendell Holmes and Mark Twain. She often visited her uncle's property near where she painted this weir pool watercolor. Her full size paintings are rarely available as she did not sell paintings,though occasionally gifted them to charity.
" Near Weir Pool. Woodtoun 98." which would be 1898. Upon removing the paper from the board , for archival work, a notation appeared under the painting on the mounting board. :"Walkham"
There is a place where River Walkham runs down through a series of pools including Eggworthy Weir, a long pool that often holds sea trout from May. The River Walkham runs through Dartmoor National park in Devon, UK. The date is confirmed 1898 due to note on the mount and the aging of the paper. 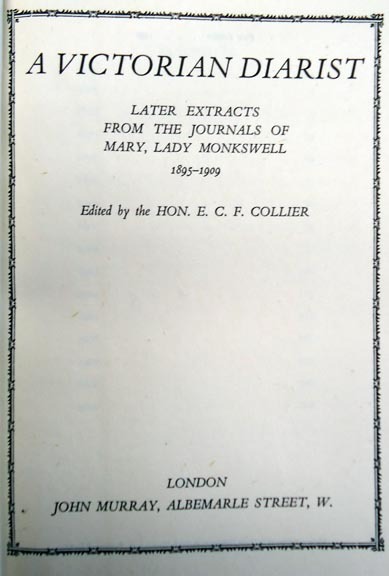 Book below containing the published excerpts of her diaries. Also she notes the hiking party she was traveling with - dated sept 7 1899. "Mira & Eleanor H., Reginald Farrer, Robert, Gerard, Eric (her three sons), Bob & Me!" 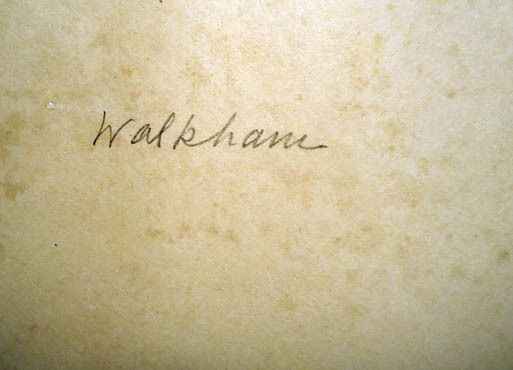 This is from a well documented sketchbooks of hers.Note hand writing is similar to her large painting above. 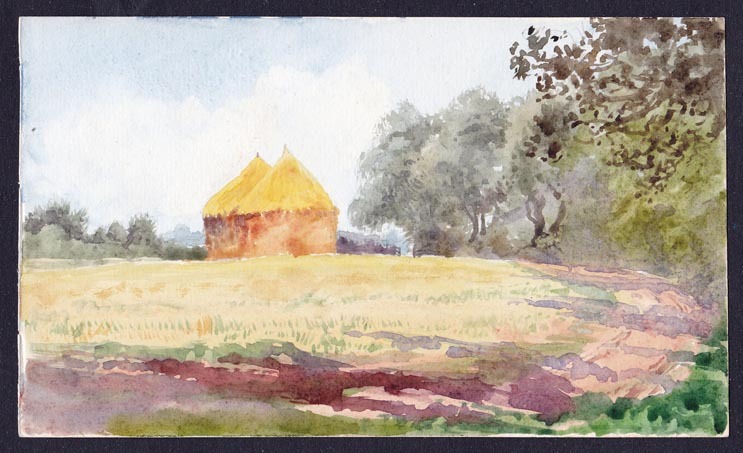 Baroness Monkswell original watercolor of haystacks from one of her well documented sketch books . Photos appear different than actual size depending upon viewing screens. A collection of three Lady Monkswell Original watercolor paintings & book. CONDITION: The paintings are in very good overall condition with only a few small tears on the margins which was hidden with mat. The weir pool painting is accompanied with the old mount & mat for archival information.This painting has been gently cleaned & archivally treated to preserve the paper. The book includes the dust jacket. 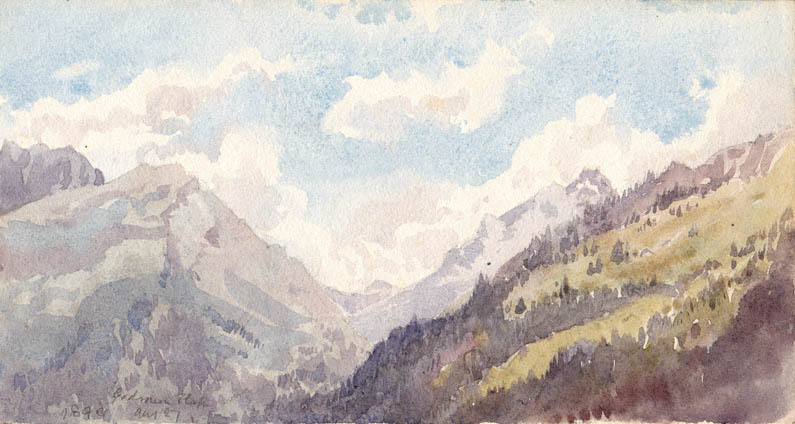 Please e-mail Us if you have any questions about these watercolours.